You make your own beer? Not a bad definition. Fermented starches and some additional flavors added. We can work with that. But how does that relate to homebrew? Let’s keep this as simple as possible. Just the concepts, not the details. Ok, we’ll touch on just basic beer made with malted barley for simplicity. 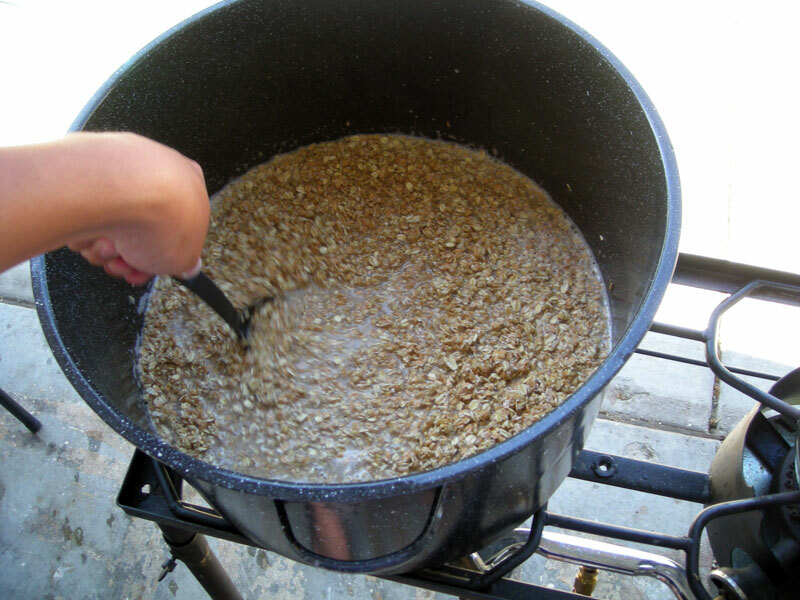 There are three basic brewing methods in order of complexity from least to most, extract, partial mash, and all grain. We’re going to start with all grain because this is the base for the other methods. Barley is harvested then malted. Malting is basically letting the barley begin to sprout and make available the starches a young seedling feeds off of until it roots. It involves heat and moisture. The sprouting is then stopped and the malt is dried. Either before the malt is used by us it has to be crushed because it is still contained in the husk of the barley. Some homebrewers do it themselves but most malt supply shops will crush it for you. Ok, so there’s starches in that husk, how do we get it out? Mashing. Mashing is the process of converting starches into sugars in our malted barley. Ahah, chemistry to the rescue! Enzymes are also in the malt. They aren’t living organisms, they are proteins. We won’t go into exactly what enzymes are or how they came about, just their function because that is what is important to us. Enzymes chop complex starch chains leaving sugar chains. You know how corn is sweet? It’s the reverse of our process, as corn matures the sugar chains become complex starches. We are undoing these chains in the malted barley. There are two types of enzymes important to us and they differ on how they split the starches. Some are like a big ax and they chop chains of starches in the middle while other are like a hatchet that shops at the ends of the starch chains. Either way, different types sugars are formed based on how long the sugar chains left after chopping are. Our two important enzymes have different temperature requirements with an overlap in their range. When we mash, we take hot water and introduce it to the malted barley to activate the enzymes and give them access to the starches so they can convert them to sugars. Our mash temperature dictates how much of the different types of sugars we get. Go cooler and we get a drier beer, hotter and a more sweet beer. That’s important for the fermentation step. Some sugars are easily fermented leaving a drier beer, others are more complex and aren’t as easily fermented leaving a sweeter beer. We also get flavors from our mash determined on what malts we use. We can get smokey, burnt, caramel, biscuity, coffee, chocolate and a whole range of other flavors depending on which grains we put in our mash. Our color also comes from the mash. 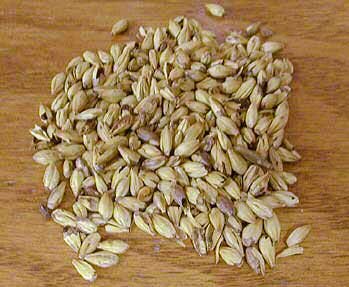 Malted barley gives us a light straw color, malts that have been roasted give us a red, brown, or black tint. Again, a whole range of different colors can come from our mash based on our malt choice. Mashing involves one last ingredient…time. The longer a mash sits, the longer the enzymes have had to convert our starches to sugars. Normal mash times are 60 minutes to 120 minutes, just to give you an idea how long we are talking about. Great, so now we have a sweet porridge in our kettle, what’s next? Lautering. Lautering is the process of rinsing the sugars from the grains. There are many ways of doing this, most involve removing the grains from the mash or the liquid from the grains, and some use more water to rinse out the sugars. (see my BIAB post earlier for more details). We now have what is called wort. Time for an aside. We have wort from our all grain process. If we had the equipment, we could dehydrate this wort and produce one of two different types of what is called extract. One type of extract is dried malt extract, the other is liquid malt extract. The difference is apparent. You can make beer by using these products, adding water to them to get back to our wort as above. You can get some different flavors by steeping different grains in the water before you add your extract. This would be called extract with specialty grains. So that takes care of all grain and extract, partial mash is just a mix of the two. You are limited in extract brewing to what kinds of extracts are available to you. With all grain you can add any amounts of grains you wish to create a flavor profile you want. Unless the maltsters made their extract exactly how you wanted it, you can’t get the exact mix of flavors you want. Along comes partial mash to the rescue. You can use an extract as a base flavor and mash some additional grains to get where you want. You mash just like all grain above, but you get a smaller volume of wort or weaker wort that gets bolstered by adding extract. So we got our wort by one of the various methods, now what? Boling. We boilour wort for a number of reasons. We boil off unwanted flavors, we sterlize our wort, and we meld flavors together. Perhaps the most import part is to get our hops flavors in there. Hops are flowers of a plant. They contain oils that provide bitter flavors in beer as well as flavors and aromas. As we boil, the oils change and get extracted into our wort from the hops. How long the hops are in the boil dictates how the oils change. Most boils for beer are 60-90 minutes. Lots of other things can be added during the boil to provide the various flavors we find in beer but we aren’t here for that today. Once we are done boiling, we chill the wort down to just above room temperatures so we can ferment it. The wort gets put into a fermenter, oxygen is added, and yeast is introduced for fermentation. Fermentation involves a fun microorganism called yeast. Very complex here, but to sum it up, yeast eats sugar and disposes alcohol and carbon dioxide. While doing so, they can create flavors. Once yeast has converted all the sugars they can, they fall to the bottom of the fermenter. Beer can ferment and sit for one week to several weeks, months, or sometimes years. Most are in the range of a few weeks. Beers are sometimes aged at this point in warm or cold environments. Then it is onto serving! The last step is carbonation. Some beers are bottle carbed, some are carbed in casks, some are carbed in kegs. Beers that are carbed in bottles or casks have additional sugars added for the remaining yeast to consume and dispose that carbon dioxide. Since the beer is in a closed container, the carbon dioxide remains in suspension giving us the carbonated beer we are used to. Beers that are carbed in kegs have carbon dioxide injected into the kegs under pressure so it goes into solution. When you open that beer, or pour it from a cask or keg, the carbon dioxide begins to escape and you get the nice foamy head. Appearance: How does it look? What is the color? How much head is there? Are the bubbles big or little? Do they go away quickly or lace the glass? Is it cloudy or clear? Simply, what do you see? Smell: Raise the glass to your nose. What do you smell? Flowers? Pine? Roastiness? Sweet? Spicy? Taste: What do you taste? Do you taste what you saw and smelled? Describe the sweetness. The bitter. Any foreground flavors? Middle flavors? Background flavors? Anything linger when you swallow it? 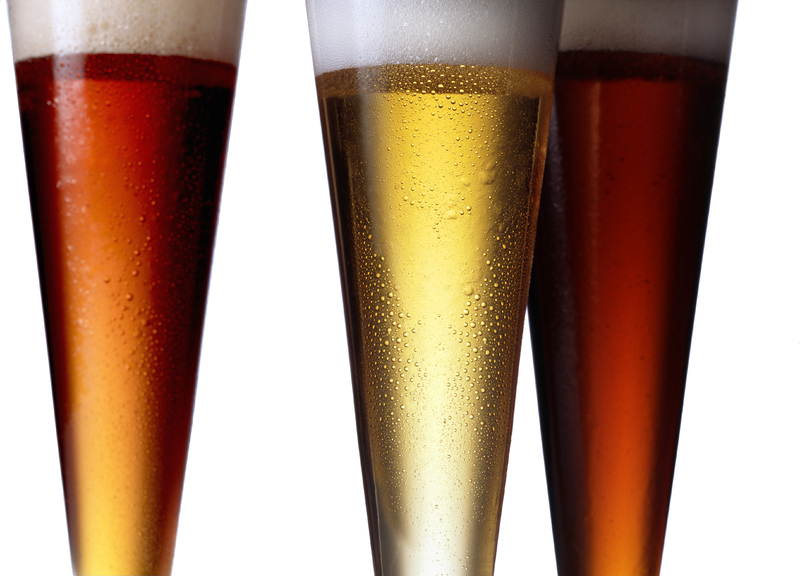 Mouthfeel: Some beers are thin and watery. Some are chewy. Some leave an oily film. Does your mouth feel dry after you swallow? Does it make your mouth pucker? This isn’t about flavors, it is about how it makes your mouth feel. Drinkability: Throw out what you heard on that stupid commercial. This has to do with how would you drink this beer. Would you sit down and drink a lot of it in a short time (a quaffer)? Or would you sip it by the fire? Are the flavors so strong that you would save it as the last thing you drank or are they subdued enough that you could try another beer without the flavors being overpowered. Overall: This category is often added to the above categories. Sometimes you just want to give an overall impression. You can describe all kinds of things above, but do you like what you saw, smelled, tasted, and felt? Would you drink it again? There are many ways to evaluate a beer. Some use number scales. The above categories are more for someone who just enjoys beer. It will allow you to refine your tastes and define what you like in a beer. Questions? Comments? Fire away, keeping in mind that the audience for this blog is someone who doesn’t know how one can make their own brew and in no way was it meant to dive into the complex topics of homebrewing. 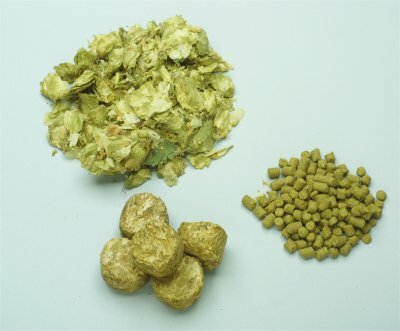 Hops: flowers, pellets, and plugs. Transferred my Wit to secondary on top of clementines chopped up and soaked in vodka for over a month. Nice and cloudy still, I think the flour and the yeast did its job properly. HUGE clementine aroma! Maybe bottle in a week, maybe two. Stay tuned for the label…. I finally did a SMaSH brew. What is SMaSH? It stands for Single Malt and Single Hop. This allows you to explore the flavors of one malt and one hop instead of most recipes which use multiple hops and/or hops to combine flavors. For this SMaSH I chose Vienna malt and Centennial Hops with a clean fermenting US-05 yeast. Vienna Malt:Vienna Malt is a kiln-dried barley malt darker than pale ale malt, but not as dark as Munich Malt. It imparts a golden to orange color and a distinctive toast or biscuit malt aroma to the beer. Centennial Hops:Centennial imparts a pungent, citrus-like flavor and aroma. This particular “C” hop, however, is good when you are not looking to impart quite the floral aromas that you might find in Cascade. I cheated a little bit, I used some acidulated malt to adjust my mash pH down because I know my water needs it. I also did an acid rest and added gypsum. Don’t tell the BIAB purists, but to do this I used two vessels. I heated 2.5 gallons of water up to 100F and mixed it into the grains for an acid rest 30-40 minutes. I didn’t time it, I just waited around 15 minutes then began heating my remaining water up for the main mash. Brew in a Bag is a brewing method that uses a porous “bag” for lautering (separating wort from grains). That’s it. There are so many variations that can fit under this definition and each and every one of them is still BIAB. Any further restrictions on this definition and you leave out a process somewhere that should be BIAB. This will get a lot of 10th level BIABers riled up, but it is the truth. They’ll want to box BIAB in to using only 1 vessel and require you to use all your water in the mash amongst other things. That simply isn’t true. Think of the parallels to BIAB: fly sparge, no-sparge, batch sparge…what is the common denominator? Separating your wort from the grains. Some are slow, some are fast, some use all the water for the batch, some use some of the water for the batch, some use two vessels sometimes, some use three vessels sometimes, etc. Lots of different ways to lauter even within the same method. As an exclusive BIABer for just short of two years now, I vary my brew day process all the time either out of necessity, or just to try something different. Yes, there is a basic method that I use most of the time, but I do not fret about deviating from it. Why box yourself into a tight definition? Did you notice that mashing is missing from the definition? The bag isn’t important to the mash, it’s just there waiting for the lauter. You put the grains into the bag then mash because you couldn’t mash then put the grains into the bag…..or could you? Ahah, now you see why mash isn’t in the definition. There’s no reason why you couldn’t do your mash in a whole bunch of small pots and pans in your oven to keep them warm then dump them into your boil kettle that has your bag in it, right? Or maybe you’d like to use a super insulated cooler to hold your mash temps then dump the whole thing into your bag in the kettle, why not? If you think about it, the BIAB parallels equipment aren’t important to the mash either. Some brewers use a separate mash tun and lauter tun but could still be a fly sparge, no? False bottom, or under drain in a cooler, still a batch sparge, right? See? We’re really talking about lautering here. You hear that using more than one vessel complicates the process so it isn’t real BIAB because it has to be kept simple at all costs! Many BIAB purists go nutty about the number of vessels thing, more than one and it is too complicated. Hogwash, use whatever number of vessels you want or need to. One is the minimum required, that’s it. Sometimes I use one, sometimes I use two, or go really off my rocker and use three! Who cares? Whatever you do, don’t point out that BIAB is like No-Sparge brewing, that will get you kicked out of most BIAB purist clubs for sure. Never mind that at the simplest form with full volume of water used in both methods, the only difference is the lautering. 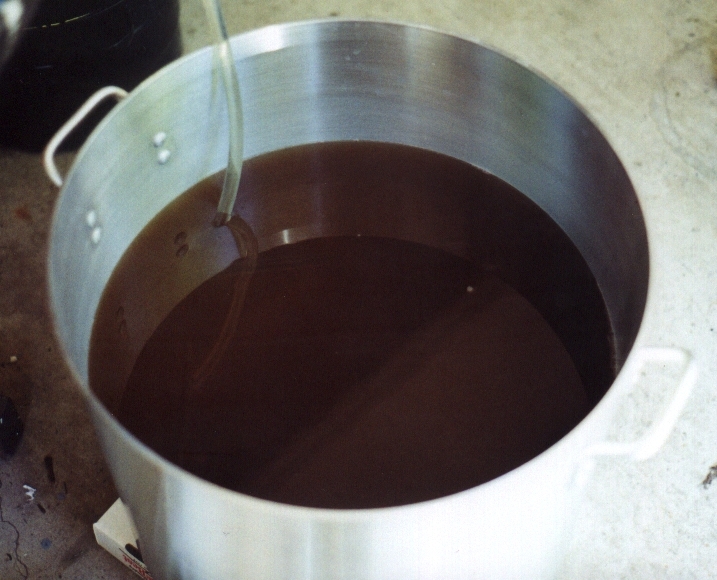 With BIAB it is accomplished by removing the grains from the pot and letting the wort flow back into the boil pot. With No-Sparge it is accomplished by draining (usually rapidly) the wort from the grain through a bottom drain into the boil pot. One advantage of BIAB (and a difference) is that by pulling your bag up, the grains get a bit of a squeeze while it drains, so by just doing the basics, BIAB should get a few more points of efficiency than No-sparge. But I bet if you emulated the squeeze of a BIAB in a No-Sparge mash tun by pushing down the grain bed slightly, you could easily get the same efficiency. Remember above where I said you don’t have to use all your water in the BIAB mash…sounds just like No-Sparge where some people do and some people don’t doesn’t it? Mash out or not? Another fork in the road, follow many BIAB purists and they’ll tell you that a mash out is a waste of time. Others will tell you a mash out is really worth it. Who is right? Both and neither! Do what you want to, the differences are small and the effort is too. Squeeze or no squeeze is another topic that can get many BIAB purists wound up. For some people it is worth it, for others it isn’t. For me, it is about consistency. I press my grain bag against a colander in an extra kettle, and twist the bag to get as much as sensibly possible and this gives me pretty predicable results. That’s what really matters isn’t it? I mean predicting your results and meeting them should be held higher than worrying that you may be “complicating” things too much by adding a step to your process. Why is bag in quotes? Some people use metal buckets with holes or cylindrical screens in place of bags. Why not something like a zapap ala Papazian? Nobody said it had to be fabric. What about volumes? I do 5 and 10 gallon batches outside on my turkey fryer burner with my setup. I could shrink things down and brew 3 gallons on my kitchen stove using a small pot. I could mash a lot thicker and get a concentrated wort that I dilute down or even add extract to like a partial mash (like? wouldn’t it actually be a partial mash? Remember, the lauter is what matters!) I could use my setup to get a wort concentrated enough to dilute down to 20 gallons or more. You could do all grain partial boil on the kitchen stove with a small pot. Like everything else so far, there are many possibilities. Don’t restrict yourself with a tight definition, keep it basic. Think of BIAB as a lauter method. Agree or disagree? I’d like to hear it. Maybe we can all learn something or see something from a different viewpoint. Stay tuned for more informational posts. I learn something when I start thinking and writing about these things.